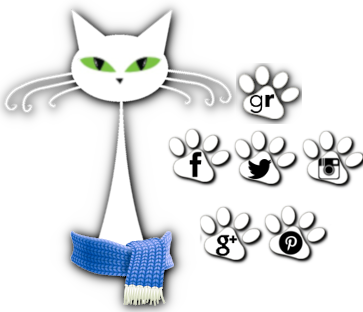 herding cats & burning soup: Interview w/ Natalie Gayle--what's the strangest thing she's Googled? Interview w/ Natalie Gayle--what's the strangest thing she's Googled? Natalie! It's so good to see you. Welcome to North Carolina! I've got brunch all set up so get on in out of the heat and lets chat. I'm ready to hear a bit of gossip about Brayden and Rihanna. Hey Anna, thanks so much for having me over. Don’t worry about the heat. I’m a Gold Coast girl so I feel right at home. LOL I'm a total wuss over the heat. Bring on the winter is my personal chant right now. ::snort:: So, a Veterinarian and a Rock Star. I just love that. Could you tell me a little bit about them and how they met? Well first off it’s important to remember that Brayden is a “sometimes” rock star. He writes a lot of the music and fills in as lead guitar for Steel from time to time. He does have another very important job. And it’s his job with the Centre that led him to Rihanna. He knews she’s was going to be at one of his concerts and he had to orchestrate a meet. Good thing for Rihanna he did! Oh "sometimes rockstar" still totally counts! lol But I love that he has another side to him that brings them together and that's rather serious. Finding Trust really sounds like quite the ride and Brayden and Rihannan like such interesting people. What was that "moment" that had you falling in love with each of them? I guess I loved Brayden from the start. (I have that problem with my book boyfriends. Good thing I have an understanding husband!!! There’s a lot of him in all my boys). As for Rih – well I really admire her but she frustrated me from time to time. I understand why but she did need a little help to see the error of her ways. Good thing she has such a great friend in Jazz. Aw hubby is awesome! What a good guy. lol Ooo good to know about Rih! So, any fun behind the scenes facts about Finding Trust? It’s all set on the Gold Coast Australia an incredibly cool place – and my home. The jetskiing scenes are from experience. We do the Stradbroke Island run regularly. If you go to my website www.nataliegayle.com (go to the “fun stuff” area) and you can check out some videos of my boy and one of his mates out jumping waves. Very cool videos. Just waiting on the editing of one with me and the guys. We went out a few weeks ago. The waves were between two and three storeys high – awesome fun. Had an incredible morning. Oh goodness. I',l have to check those out. I saw Finding Judgement is almost ready to be set free on the world. Any delicious little gossip you can share about book two and what's in store for us? Wow did I love writing this book! Rory is just the biggest sweetheart. Every girl needs a Rory. Brayden is very cool and a great guy. Rory just gets to you in the best possible way. Definitely my number one book boyfriend at the moment. 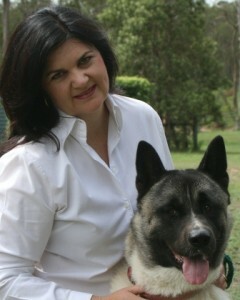 My beta readers have absolutely loved him and TJ as well. She is a great girl. Rory is so much fun but he was quite demanding in the beginning with how he wanted things to go with TJ. I can’t believe what he demanded of me. And somehow I had to make it work. It took me a few weeks to get my head around what he wanted but he was very happy with the outcome. When you read his story you’ll know what I’m talking about. (If not drop me an email and I’ll let you know what his demand was! Natalie@nataliegayle.com.au) So look out for Finding Judgement – It will be released on the 19th of July and we have lots of great things planned for the week after to celebrate Rory and TJ’s story. Oooo intriguing. Can't wait to see what the demand was! There's a lot of action and adventure in your books. Is that a carry over from your real life? What are some of the things you love to do with your free time? Ha, you picked up on that did you! Well I’m a bit of an adrenalin junkie. I spent about thirty years of my life competing at a very high level in eventing and showjumping. So I love going fast and jumping crazy big things! When I gave that away about two years ago I needed something to fill the gap. Jet Skiing was it. It’s very close to eventing only jumping waves instead of fences. I’ve always been a speed demon so that also suits the Jet Skis. We also water ski and wakeboard. In winter we like to go snow skiing with the kids and mess around with that. In the last couple of years I’ve also gotten back into martial arts so I do modern martial arts and Muay Thai. Plus I go to the gym anywhere between three and five times a week. In addition to my writing I do IT as a profession, so that keeps me busy as well. Lately my IT work has taken me overseas a lot. I’ve had three trips to Germany in five months. Forty hours of travel each way from Australia! So I try to pack in as much as I can. Good thing I can survive on four or five hours sleep a day! Whew, craziness. I'm a both feet on the ground and a slow moving kinda girl. lol Just a couple fun things and we'll let you get on to your next adventure! Weirdest thing you've Google searched while writing? Mmm – I googled who invented peanut butter yesterday. I figured they should earn a saint hood. Love the stuff! Lots of stuff. Books, reading and writing. Tech toys. Sport, my family, working out. If I bother to do it – I go seriously hard. Give it everything you’ve got – then some more for good measure is my motto! Thanks so much for coming all this way to visit Natalie! It was great chatting with you. Can't wait to check out Finding Judgement! Hey the pleasure was all mine – thanks so much for having me over. Next time you’ll have to catch up with me and the gang on the Gold Coast. 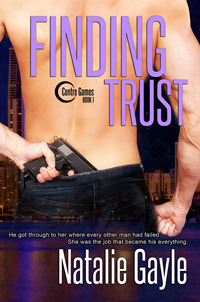 Oh in case you don’t know – Finding Trust is on sale for 99c at all the usual places. It’s 142,000 words of total fun – so make sure you go hang out with the Centre gang for a bit. And no cliffhanger! Each book is about another couple but all the gang are involved in each. Woot! What a great deal. And oh I'm all over a visit to the Gold Coast! lol Yall buy links are up at the top for anyone interested! I live on the Gold Coast, Australia. I love spending time with my family and friends. When I’m not sitting behind a screen playing with IT or writing, you might find me down the beach playing in the waves on a Jet Ski or a bogey board (both are uber cool). When the weather turns a bit cooler (doesn’t really happen on the Gold Coast), we like to head for the snow. I’ve discovered I have two kids who are kamikaze skiers—they must take after their father. He’s always at me to “release the handbrake.” Apparently I’d ski so much better. I call it a healthy understanding of self-preservation and gravity! 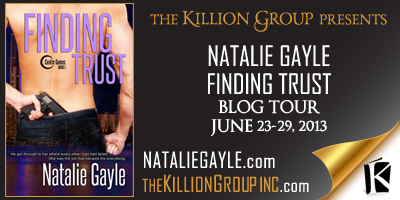 Have you read Natalie Gayle? What did you think? Do you like romantic suspense?